DearMYRTLE's Genealogy Blog: FINALLY Get Organized! My desk is ready, is yours? 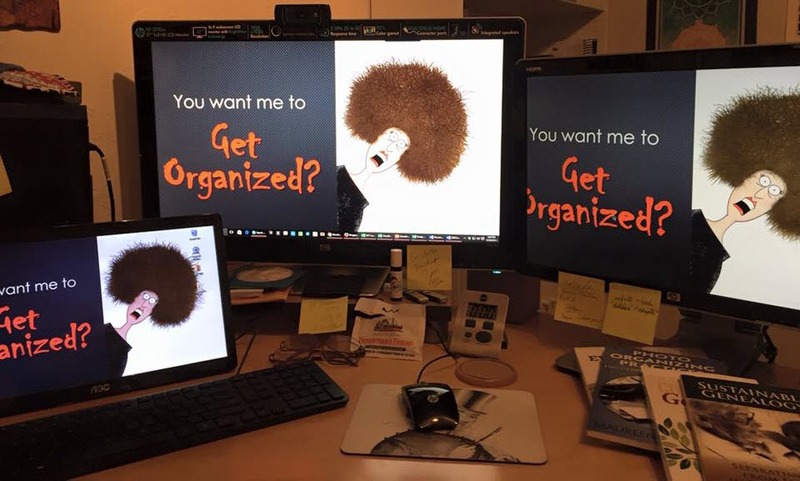 As a jump start to Ol' 2016 FINALLY Get Organized! Weekly Checklists I suggested you clear off a corner of your computer desk, so you've got half a chance of starting our first full week of tasks. They aren't difficult tasks, so no worries, Jennifer! One thing I've learned really helps organize my workspace is to have 3 monitors. Is this an option that may also assist my DearREADERS? REMEMBER, our weekly checklists are published on Sunday each week, starting 3 January 2016.